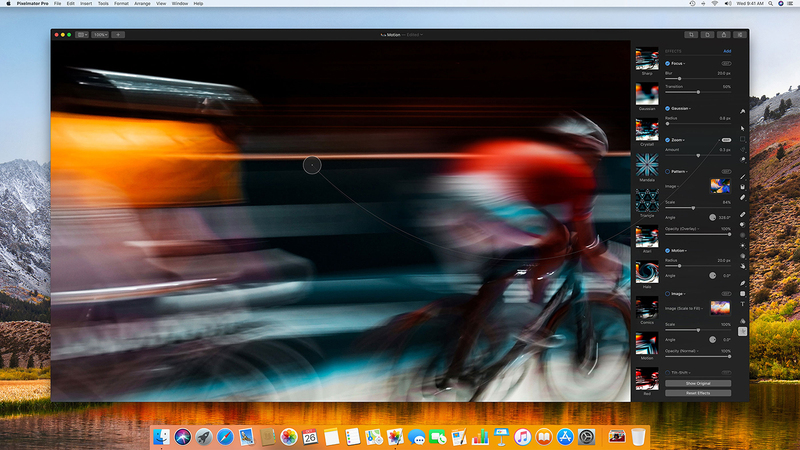 Following months of testing, Pixelmator Pro is now available on Mac App Store. 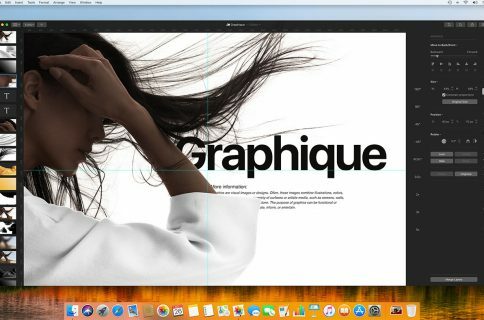 Designed exclusively for Mac and built with Swift, Pixelmator Pro 1.0 code-named “Whirlwind” integrates seamlessly with macOS High Sierra and supports almost every major macOS feature, like iCloud, Versions, Tabs, Full Screen, Split View, Sharing, Wide Color and others. With it, you can work with HEIF image files, as well as open and nondestructively edit layered Photoshop files, RAW files and images in all the most popular formats, such as JPEG, TIFF, PNG, PSD, PDF, GIF, BMP, TGA and JPG-2000. 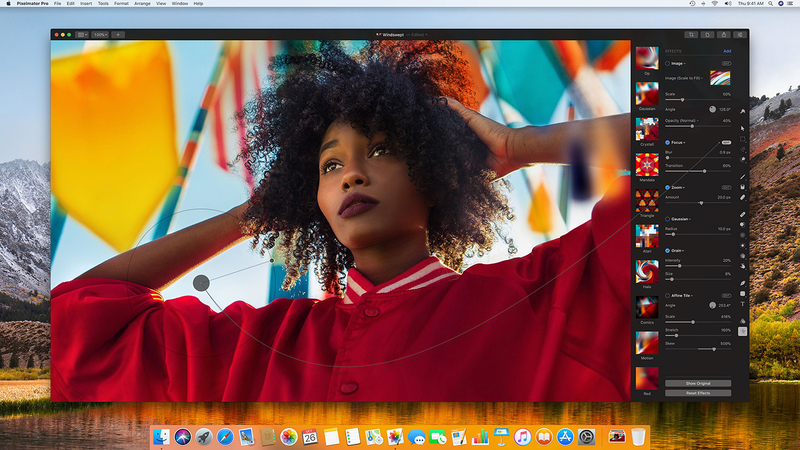 Pixelmator Pro ships with a Photos extension allowing you to launch its interface directly from the Photos app and save edits back to the original image in your library. Taking advantage of machine learning, the app automatically gives descriptive names to the layers you add. It also intelligently straightens images using horizon detection, removes objects from your photos just like that (developers say machine learning lets the app recreate image areas “with stunning realism”) and makes it easy to make accurate selections. 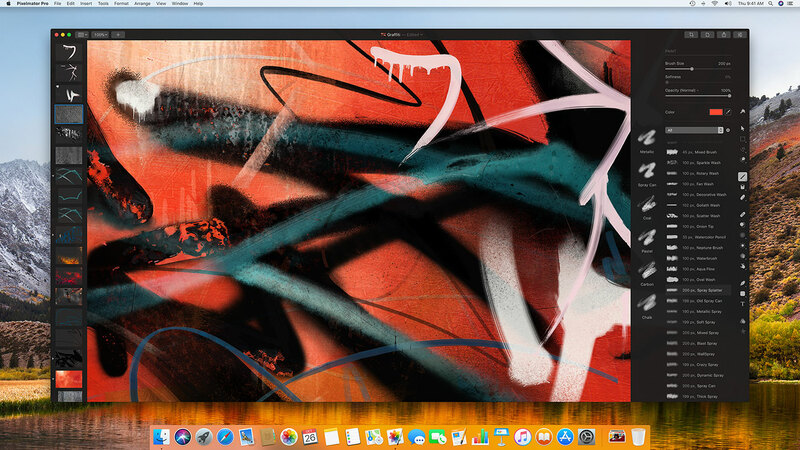 Pixelmator Pro brings a one-window dark interface making it easy to create detailed compositions and designs, as well as draw, paint, apply gorgeous effects, design beautiful text and edit images in just about any way you can imagine. 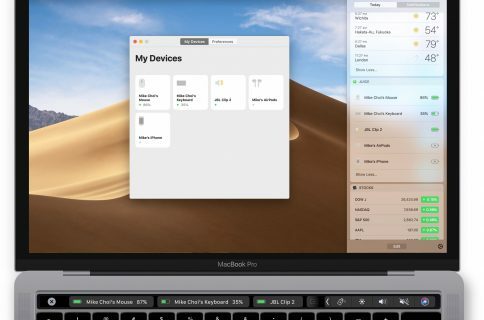 “Thanks to its intuitive and accessible design, Pixelmator Pro is delightfully easy to use—whether you’re just starting out with image editing or you’re a seasoned pro,” developers noted. 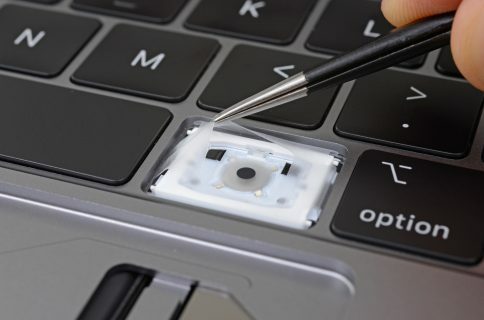 Completely nondestructive color adjustments, effects, styles, and layouting tools in Pixelmator Pro give users the freedom and flexibility to go back and modify or delete individual changes at any point in the editing workflow. Thanks to the new presets feature, you can create endless combinations of multiple adjustments, effects, or styles, save them to your favorites and reuse them in any of your images. Drag-and-drop sharing also makes it a breeze to share presets with others. The app requires a Mac compatible with Metal 2 running macOS 10.13 High Sierra. Pixelmator Pro is available for $59.99 on Mac App Store.